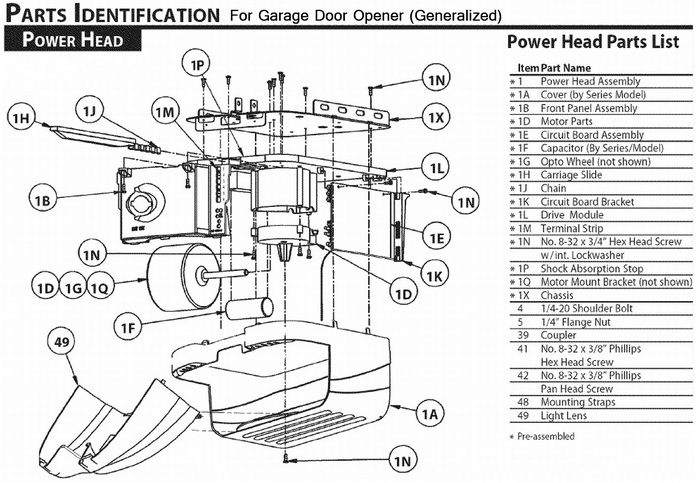 QUESTION: My garage door opener will not work. It will not open the garage door because the unit is not turning on. The unit is over 2 years old. It is plugged into the electrical outlet. The outlet has power. No GFCI on outlet. The main circuit breaker is flipped on. Despite all this the small green light that tells you it is ON and working is not illuminated. It seems no electricity is getting to the garage door opener. What can I check to try to fix it myself? I do not want to buy a new one or hire a garage door repair company. ANSWER: If your garage door opener (Craftsman, Liftmaster, Chamberlain, Genie, SOMMER, Decko) has NO power but it is plugged in, the circuit breaker is ON, and you know for SURE the electrical outlet has power, then there is something in the garage door opener that is faulty. There is an electrical issue in the opener. You will need to check the internal components of your garage door opener with a multi-meter to find the source of the problem. NOTE: TO BE SURE POWER IS ON TO THE GARAGE DOOR OPENER ELECTRICAL OUTLET, plug in a lamp and test it. If you do not know how to use a multi-meter, here is a video that will show you how… How To Use A Multimeter? How to use a multimeter to measure voltage, current, resistance and continuity? 1 – The transformer has failed due to a power surge. 2 – The glass fuse on the circuit board has blown or popped. 3 – The circuit board itself is faulty. 4 – A wire or wire harness is loose or burnt. 5 – The end of the electrical cord has become disconnected from the opener terminals. 6 – The electrical cord itself is damaged. 1 – Use a sturdy and safe ladder to reach the opener. 2 – Unplug the garage door opener from the electrical outlet. 3 – Remove the outer cover over the motor and circuit board. 4 – Locate the components that we have mentioned that may be faulty. 5 – Check for any obvious signs of something burnt, melted, or broken. 6 – Begin to check the components with your multi-meter to find the faulty part. – Use your multi-meter and check to be sure 120 volts is going into the transformer. 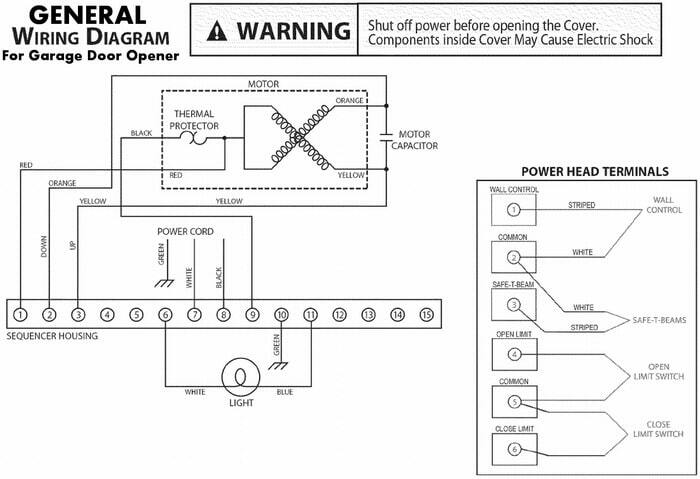 – If no voltage is coming out, replace the transformer. – Find the glass fuse on the circuit board. – Check to see if it has popped or blown. – Test with meter to be sure. – If fuse is popped, replace it with the same amperage not a higher amperage. – The circuit board may be burnt, melted, blackened. – If so it is most likely bad and needs to be replaced. – Check wires and or wire harnesses to be sure they are not loose or damaged. – Check that the power cord is connected to the terminals. – If the power cord is damaged, replace. – Check capacitor with multi-meter to find if it is faulty. – 4 rectifiers will be small round black components with a wire on each end. – There may be a bridge rectifier unit that is a black rectangle with 4 wires on the circuit board. – Is low voltage DC coming out? If low voltage DC comes out then the green light will be illuminated. 1 – There is 120 volts AC electricity to the opener. 2 – Power runs through fuse, wires, and on the circuit board. 3 – Transformer has 120 volts in and low AC out. If all else fails, you may need a new garage door opener. Your opener may be old and parts are hard to find. Either way a new replacement part or new garage door opener will need to be purchased. 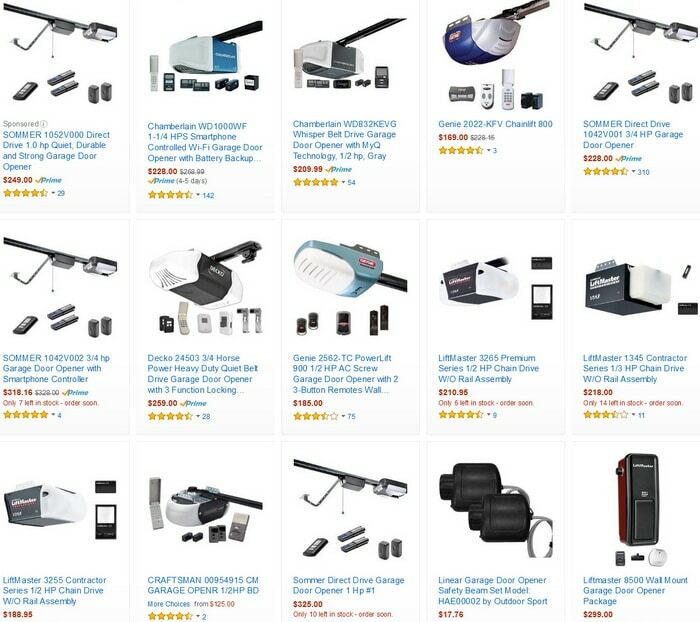 See below for garage door opener parts and new garage door openers. 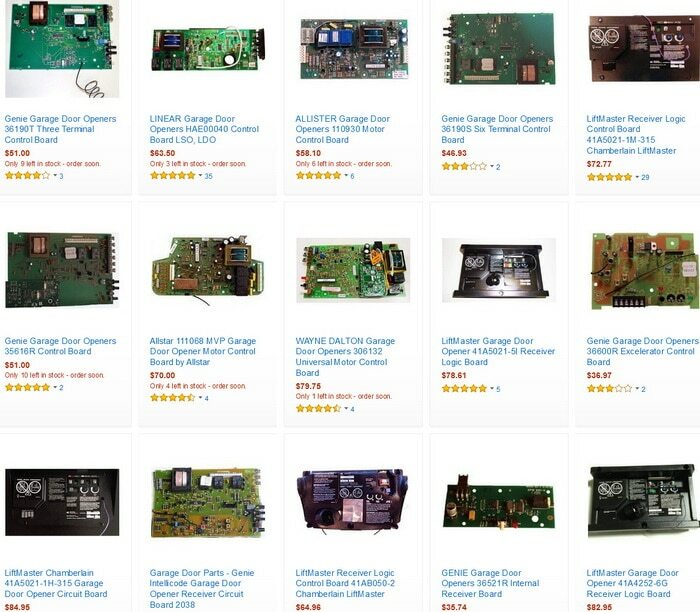 Garage Door Openers Parts, Control Boards, and More! New Garage Door Openers Online For LESS! Have a question about a garage door opener that is not getting power? Ask us your question below in the comments section and we will be happy to help. I have an older (approx. 27 year old lift master 1/2 hp) I can not get it to open the door from the wall switch. The remote switch works. I do not have power at the wall switch. I have changed it and no luck. I suspect a bad transformer. I can’t find any circuit breaker for the current source. I hope I’m missing one. Hi I went to replace the light on a glidermatic opener and it flashed and shorted Now opener clicks twice then after three seconds it beeps once but nothing moves The fuse was blown and now keeps blowing each time Anyone know why? We have 4 garage door openers, 2 stopped, no power at owner or wall button. 3 year old home, checked ALL GFCI and found 1 in my laundry room that doesn’t work no power. Could that be possible for a laundry room outlet/GFCI be connected to 2 of the four garage openers? Of course all electrical panels have been checked out. Hoping to find the issue so garages can be auto vs by hand. I have a overhead door model 455. The wall button has power, but the opener doesn’t power on. Does this sound like a fuse blown? Any garage door opener over 12 years old is beyond the point of investing such depth of technical analysis. Unless you are an electrical/electronic expert on your own dime, it would be cost prohibitive. Buy a new one!